The kiteworks™ by Accellion app enables business users to securely create, access, and share up-to-date enterprise content anytime, anywhere. With a mobile-first icon-based design, kiteworks offers users the ability to securely share large files, collaborate in real-time, edit and annotate documents, and create content within a secure container. • Securely create, edit and view Microsoft Office files (Excel, Powerpoint and Word) online and offline. 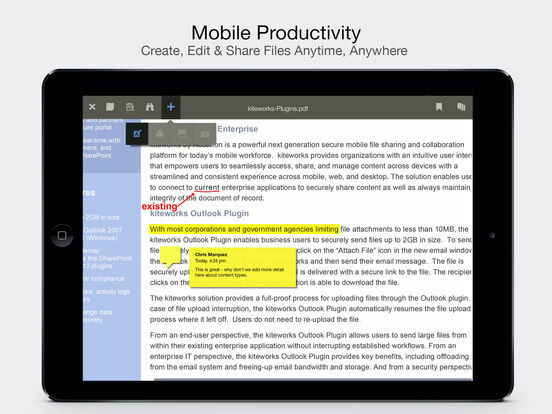 • Annotate PDFs using embedded annotation tools. 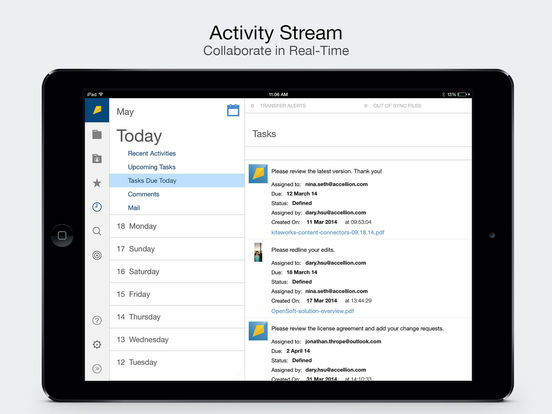 • Drag and drop multiple files - easily to move, copy, or share using innovative Move Tray feature. • View real-time user activities on user activity dashboard including file and folder activities, user comments and assigned tasks. • Securely browse, upload, send, and share files and folders on-the-go. • Full content search functionality, including extended metadata search filters. • Enhance your authentication security using Two-factor authentication (2FA) from Mobile. • Access files stored in SharePoint, SharePoint Online, OneDrive, Google Drive, Windows File Shares, DFS, OpenText, Dropbox and Documentum without a VPN. • Assign tasks for files in a shared kiteworks folder to Internal or external collaborators. • Upload files from e-mail attachments, pictures from camera, camera roll, and files from other apps to secure kiteworks folders. • Lock/unlock files on kiteworks folders and SharePoint. • Preview over 200 types of files securely without having to download them. 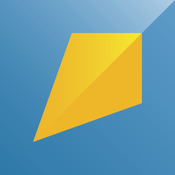 This kiteworks iOS app requires a user account on a kiteworks system. This app provides mobile business users the flexibility to use their own devices to securely share information with both internal and external collaborators without compromising enterprise data security and compliance.